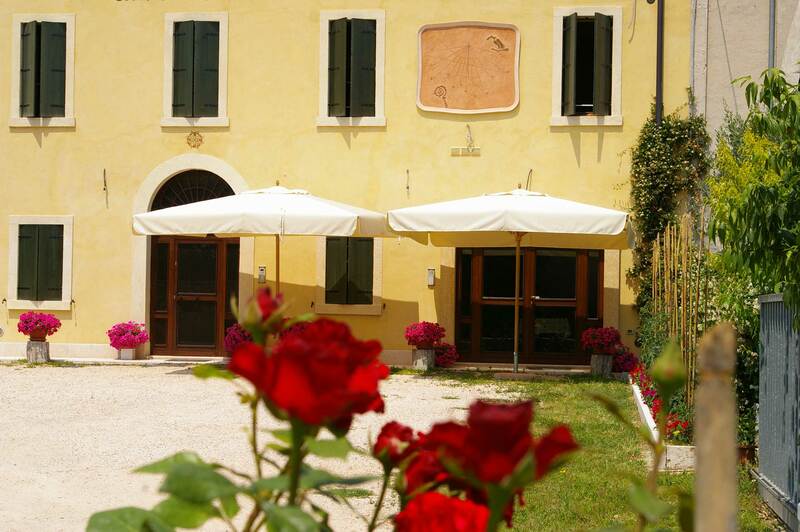 The Corte San Benedetto Winery is located in Arbizzano di Negrar inside the ancient rural court from which the winery took its name. This young family-run winery was born in 2006 with the help of their father Mariano when two brothers Angelo and Loris decided to continue the activity initiated in 1956 by their grandfather Angelo. As they currently run the winery using their own grapes, Loris, with a degree in oenology, works in the cellar and is responsible for winemaking, while Angelo takes care of the accounts and customer relations. Mariano then, with a long-mature-acquired experience throughout the years, ensures cultivation in the vineyard. A portion of about 18 hectares of the vineyard is cultivated from which all typical wines of the zone are produced, namely Amarone, Recioto, Valpolicella and Ripasso. You are most welcomed to the warm atmosphere of our 1800 ancient wine home recently restructured. Therein you are treated to a good reception and a warm hospitality. Have a taste!